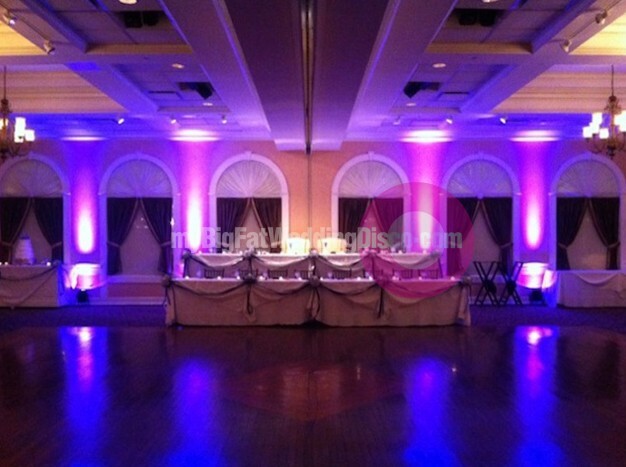 Add a dramatic lighting effect to your wedding venue with our wedding uplighting hire. Easy for us to install at virtually any venue, we can turn a dull, low lit environment into a stunning, fairytale and atmospheric scene, guaranteed to stun you and your guests upon entering. Wedding uplighting is growing in popularity and our LED par can sets can deliver a stunning scene as we uplight entrances, walls, specific backdrops and stage lighting. We can set a particular colour to match your wedding theme or make a full set of units around a venue change multi-colour and in-sync (DMX), great for when the party gets started and everyone is on the dance floor enjoying themselves. 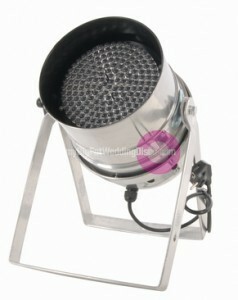 Our uplighting sets are available for wedding hire. If you choose to have a wedding disco service from someone other than us, we will still be more than happy to offer just an uplighting service. LED technology is energy efficient and more effective than older traditional lighting equipment, plus they omit virtually no heat. Our safe installation process with full cable securing will ensure you can just relax and enjoy your evening. Uplighting prices start from just £40 if your booking a wedding disco service with us, for the same venue and the same night. However, we would like to personally discuss with you your full requirements as venue sizes and requirements will influence cost. We hope to hear from you soon, MBFWD.